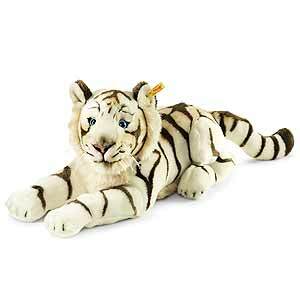 Steiff Bharat White Tiger from the best for kids collection, is made in beautiful soft white striped plush. Our Bharat White Tiger carries the yellow tag, which signifies it as a Steiff classic edition and wears the famous brass plated Steiff button in ear. 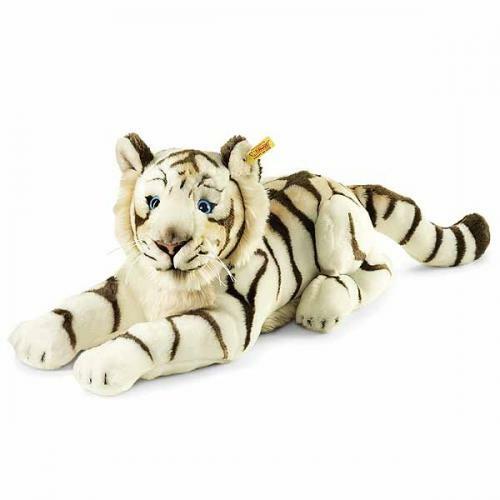 This wonderful Steiff piece is machine washable and the size is listed as 43cm.